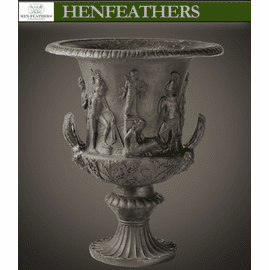 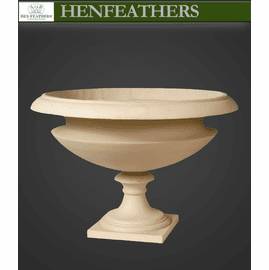 HenFeathers' Sussex Urn is a stunning addition to the HenFeathers Grande Urns & Planters Collection. 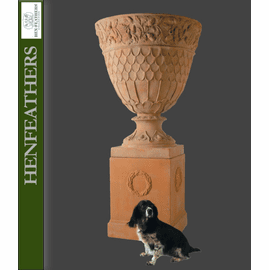 This large urn, with its classic lines, will make a great centerpiece of an entranceway or become the perfect garden or terrace focal point. 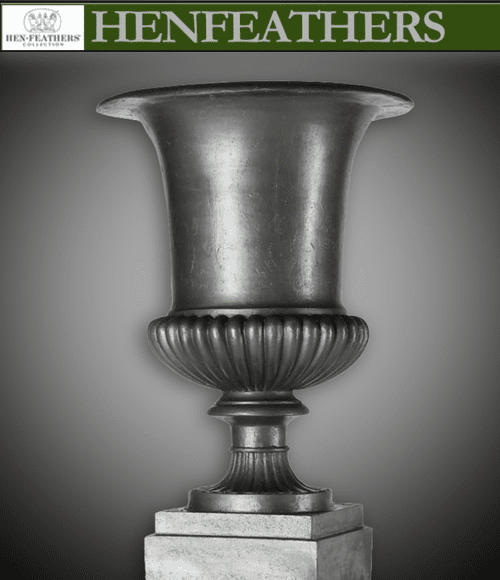 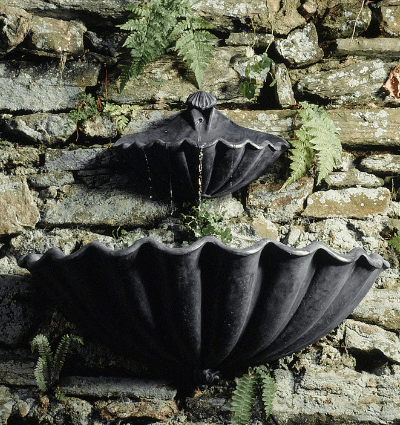 Meticulously hand cast and hand finished patina in extremely durable marine grade freeze proof fiberglass. 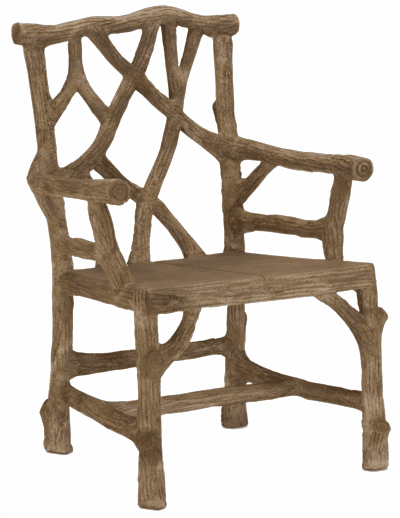 Guaranteed outdoor durability. 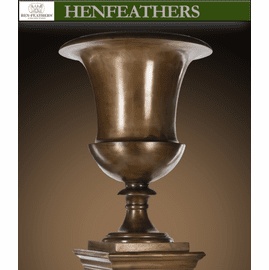 Available in the three finishes shown below. 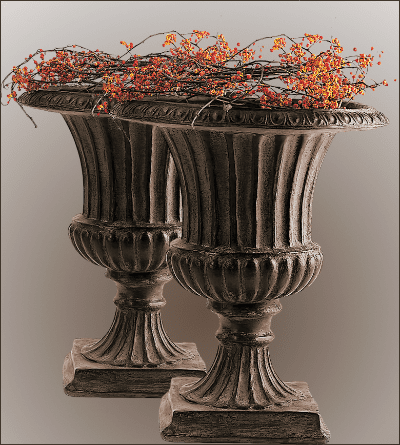 Shown above on the Classic Pedestal, The Classic Pedestal is sold separately, 32" tall x 25" w please call for availability 610 649 4078 NOTE: These larger containers require freight shipping with an additional charge based upon location .